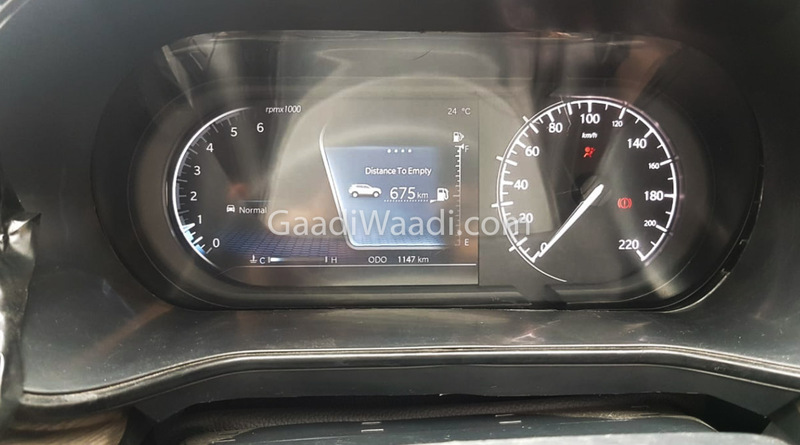 The Tata Harrier spy image that we have with us today reveals the speedo console of the upcoming flagship SUV in all its glory. The highlight of the instrument panel is its coloured TFT Multi-information Display (MID), which shows vital statistics like distance-to-empty and several infotainment options. The speedometer and the tachometer get white backlighting while there’s a vertical digital fuel gauge display. The lower end of the speedo console displays the odometer. On the other hand, there’s an outside temperature display on the upper end. the engine temperature gauge is placed right below the tachometer. The speedometer is calibrated to 220 kmph. 100 kmph marking is right in the top-most part of the dial’s circumference. The tachometer is calibrated to 6,000 RPM. The most interesting detail, however, is that the instrument panel gets a semi-digital format. While the tachometer and the MID have a digital form, the speedometer is an analogue unit. The Tata Harrier is the production-spec H5X SUV concept that made its debut at the Auto Expo 2018. The show car had a fully digital speedo console. 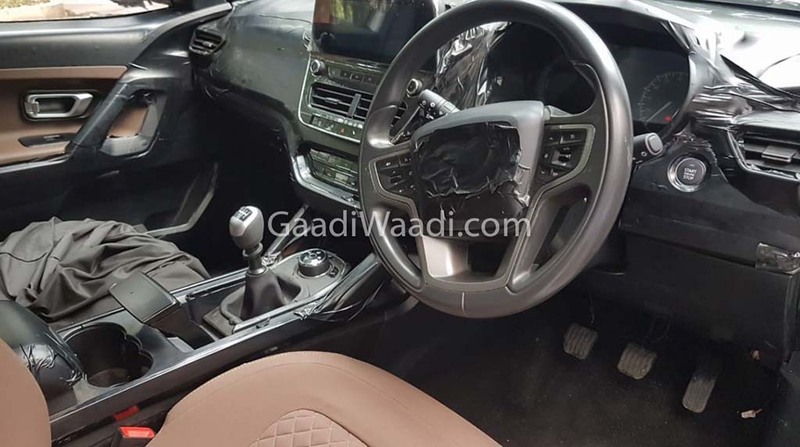 While the latest Tata Harrier spy image shows a clear disparity between the instrument panels of the production and the concept version, the three-spoke multifunction steering wheel and the general dashboard layout will remain unchanged. 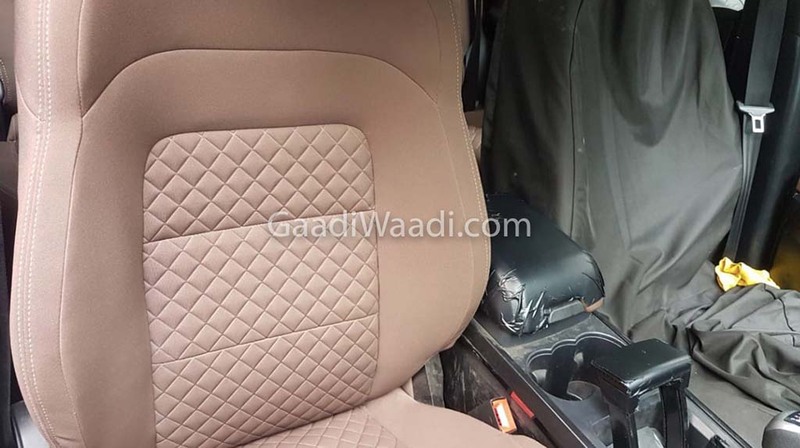 Underpinning the Tata Harrier is an updated version of the Jaguar Land Rover’s D8 platform. The platform has been modified suitably to ensure a low sticker price of the upcoming flagship SUV. Powering the Harrier will be an FCA-sourced 2.0-litre Multijet II engine that will produce 140 PS of maximum power. 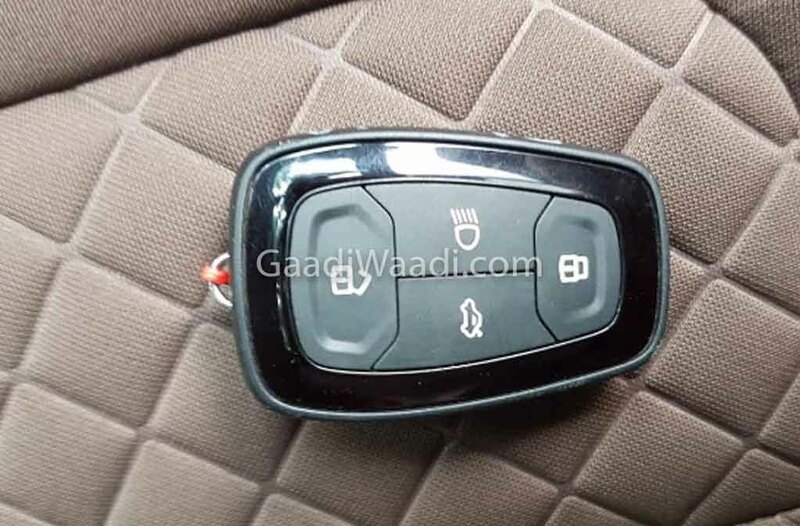 It will come mated to a 6-speed manual transmission as standard and a 6-speed automatic unit as optional. The automatic transmission for the Harrier will be sourced from Hyundai. 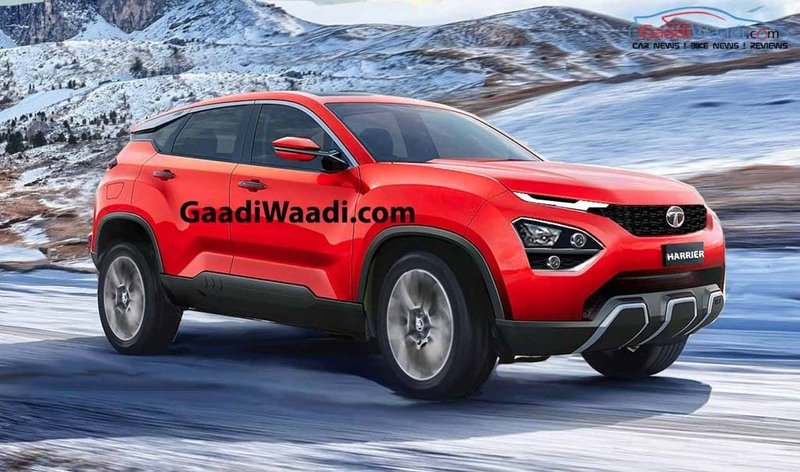 The Tata Harrier SUV will be price positioned between the Hyundai Creta and the Jeep Compass. It is likely to have a starting price of roughly Rs 12 lakh.